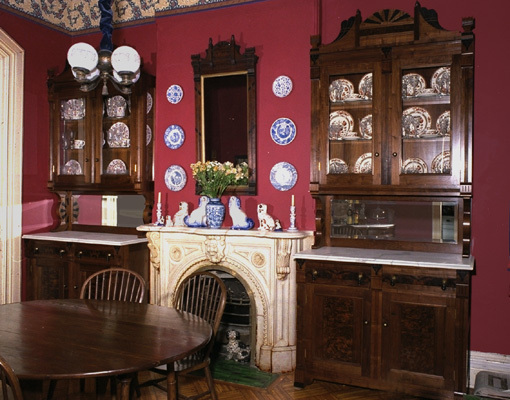 The two cabinets in place in Brooklyn. 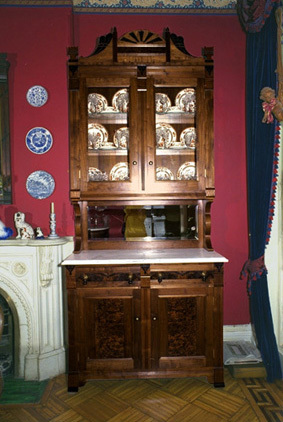 The cabinets are made of 1 inch black walnut, with walnut burl panels. 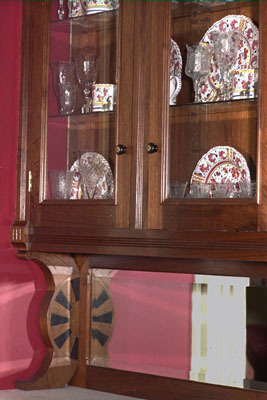 A view showing the ebonized detail, beveled glass mirror, and raised moldings around the door panels. The top cabinets have interior touch controlled lighting, and glass shelves.